We offer top quality soil and amendments for your lawn, garden, or other landscape project. We have a variety of soil options from amendments to add to your soil to the already mixed Green Acres Garden Mix, the complete soil package. At Green Acres we make an effort to provide you with quality soils and amendments. 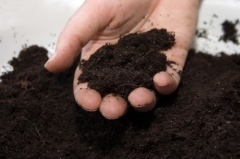 Here are some things to consider when you consider purchasing soil. 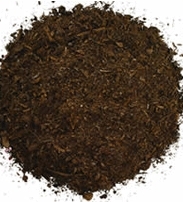 Four main chemical and physical properties influence topsoil quality: soluble salts, pH, texture, and organic matter. The sodium adsorption ratio (SAR) is an additional property to consider if salinity and/or soil pH approach unacceptable levels. It is imperative that topsoil meet specific standards for these properties. If soil falls outside of acceptable ranges for any one of the properties, reject the material or realize the need to spend considerable time and money improving soil conditions before plants will thrive. The old cliche' "an ounce of prevention is worth a pound of cure" applies to acquiring quality topsoil. Make a concerted effort to acquire high quality soil, even if it costs more initially. It will be less expensive in the long term than treating recurring problems and having to replace landscape plants that fail due to poor soil conditions. What soil is best for your needs? 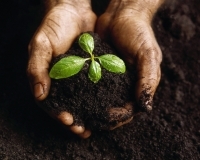 We sell top quality soil with all the organic content you need. First of all, you can not judge soil by its color. Just because some soil might be darker or blacker than another does not mean that one soil is preferable over the other. Secondly, things to consider when buying soil, besides color, are mineral and nutrient contents, organic inclusion of material, soil pH, texture, and water and aeration issues. 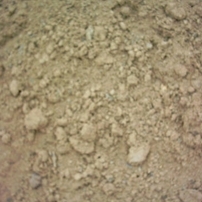 Some soils consist of more clay and others of more silt. Some have more organic material such as humus and potash. Check out the link below for some more information! Quality topsoil is the basis for quality landscapes. The growth rate, health, and visual appearance of landscape plants are directly related to soil quality. Quality topsoil is also a limited resource. 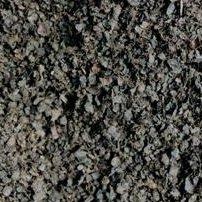 As urban development continues, locating quality topsoil becomes more difficult and the price increases. Check for signs of salt crusting or crystals on the surface. 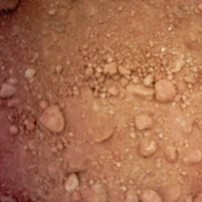 Soils high in soluble salts have light colored deposits on their surface. Take a sample of soil and attempt to crush a few dry aggregates. Ideally, dry aggregates crumble under pressure. Be suspicious of material that is extremely hard. Hard soils indicate low organic matter or high clay content. Remember that this soil will behave similarly in the landscape. 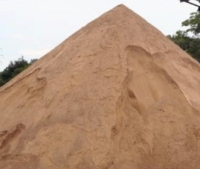 Wet a few aggregates and break them down to individual sand, silt, and clay particles. 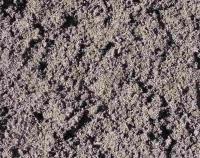 Does the material feel gritty (indicating high sand), smooth (indicating high silt), or sticky (indicating high clay)? Ideally, there should be a combination of some gritty, smooth, and sticky particles. Recall that this material will behave in a similar way when wet in the landscape. Check topsoil color. 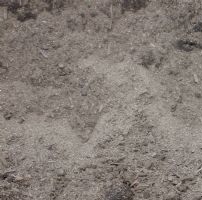 Generally, light colored materials have lower organic matter contents than dark brown or black soils. Soils that are very light or white may contain excess salt and/or lime. Excess lime aggravates nutrient deficiencies, particularly iron chlorosis. In some situations, purchasing topsoil is essential to create a successful landscape. In others, the purchased soil may be little or no better than soil already on site. Before making the decision to purchase new topsoil, determine whether the soil will be any better than material already on the site. If possible, have both soils tested. Compare the test results with these guidelines. Determine the cost of purchasing new topsoil and if the money is better spent improving the soil already on site. Soils with the 'Ideal' classification for all of the properties described in this guide have virtually no limitations for growing common landscape plants. Soils with the 'Acceptable' classification may require selection of plants which are tolerant of those conditions (i.e. high pH), or modification to improve soil conditions. 'Unacceptable' class soils require major improvements before most landscape plants will survive.